Reprint. Originally published: London: Hodder & Stoughton, 2004. THE MILLION-COPY BESTSELLER AND MAJOR MOTION PICTURE'Emotionally riveting and will test your tear ducts to the limit' Daily ExpressIn all thirteen years of Anna's life, her parents have never given her a choice: she was born to be her sister Kate's bone marrow donor and she has always given Kate everything she needs. But when Anna is told Kate needs a new kidney, she begins to question how much she should be prepared to do to save the older sibling she has always been defined by. So Anna makes a decision that will change their family forever - perhaps even fatally for the sister she loves. 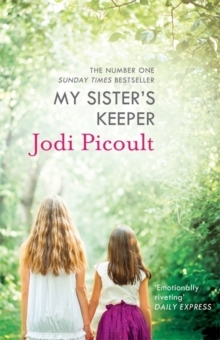 From internationally bestselling author Jodi Picoult comes a masterpiece which asks us just how much we should do to care for the ones we love. Jodi's brand new novel, A SPARK OF LIGHT is publishing soon and is now available to pre-order!